Friday could not come fast enough. I am looking forward to this weekend to spend them with my family. Next week is a school holiday so that means the traffic is going to be smooth to work. Can't wait! 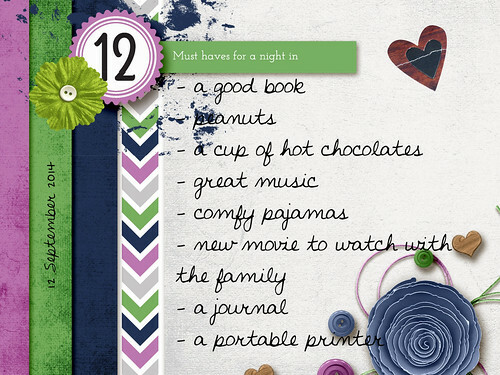 And for today list I consider all the things in the lists if I am spending the night or the weekend in. Things that can kept me entertain and fulfilling at the same time. Hot chocolate and a good book are definitely awesome "must-haves" for a night in!